What kind of name is Sepp Blatter? This question was asked to me simultaneously by twenty three people after this FIFA czar’s name entered the Interwebspace after corruption charges into the world’s “Soccer” organization. 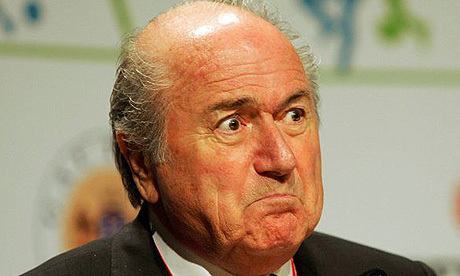 So this Sepp Blatter was re-elected to FIFA, so he may be corrupt- isn’t his name punishment enough?